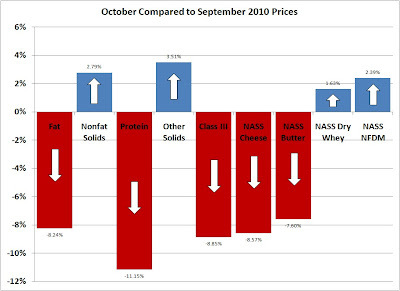 November Class III Milk and Component prices were announced on Friday, December 3. 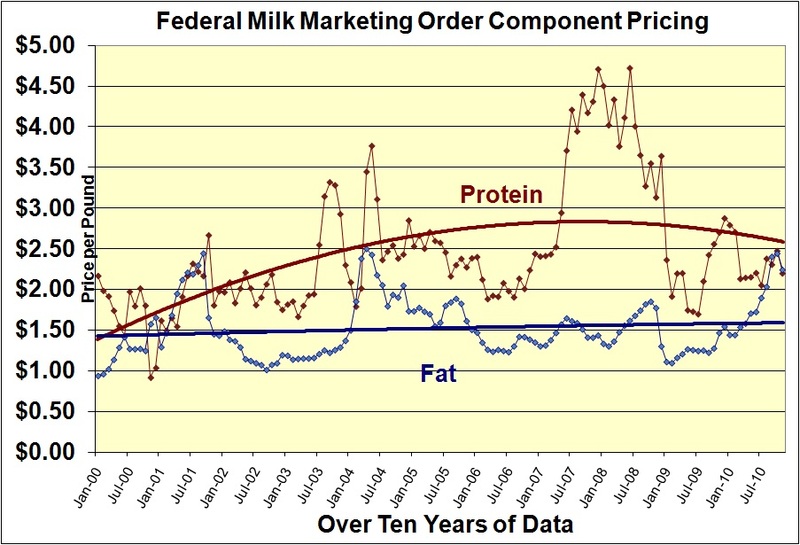 Most all prices were down. 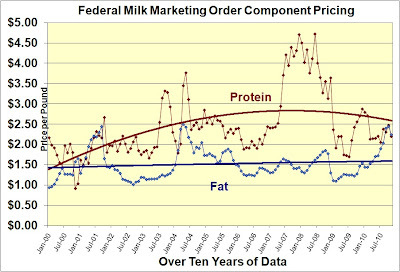 Protein, the most important element in the milk payment was down $.28/lb. 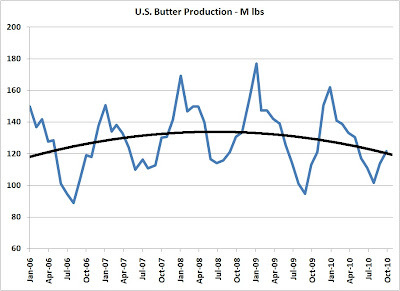 Butterfat was down $.20/lb and the Class III Milk price was down $1.50/cwt. 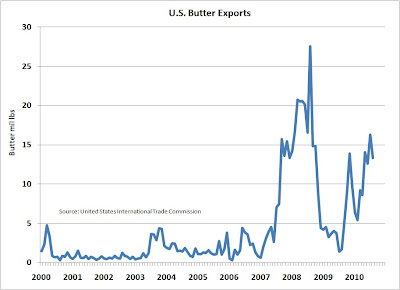 Graphically, the picture is equally bad. The only increase in component prices was in other solids as a result of the increase in dry whey prices. 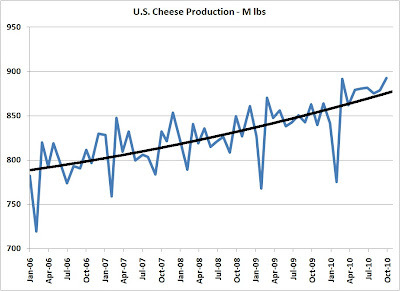 Other solids make a very small contribution to the milk check so this slight bit of good news has a minimal impact. 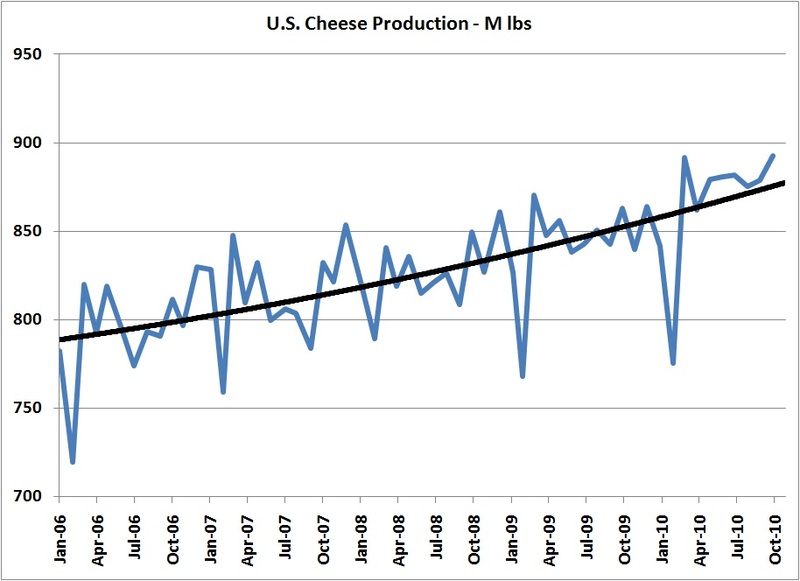 What's behind the negative changes in Class III milk prices and protein prices is the continued high level of cheese production and the resultant high inventories. 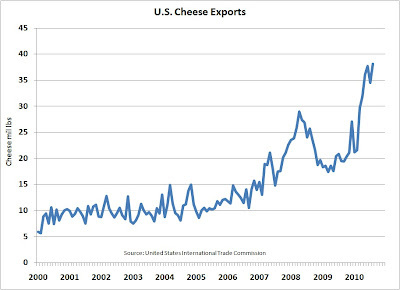 While cheese exports have remained strong, they have not been sufficient to keep cheese inventories at realistic levels. 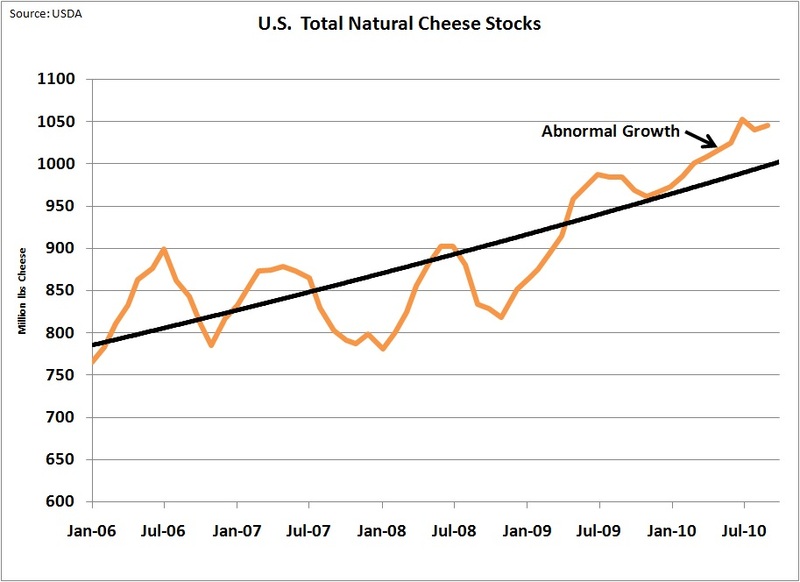 Until the current high level of cheese inventory is reduced, cheese prices will remain low with only occasional upswings based on temporary issues. 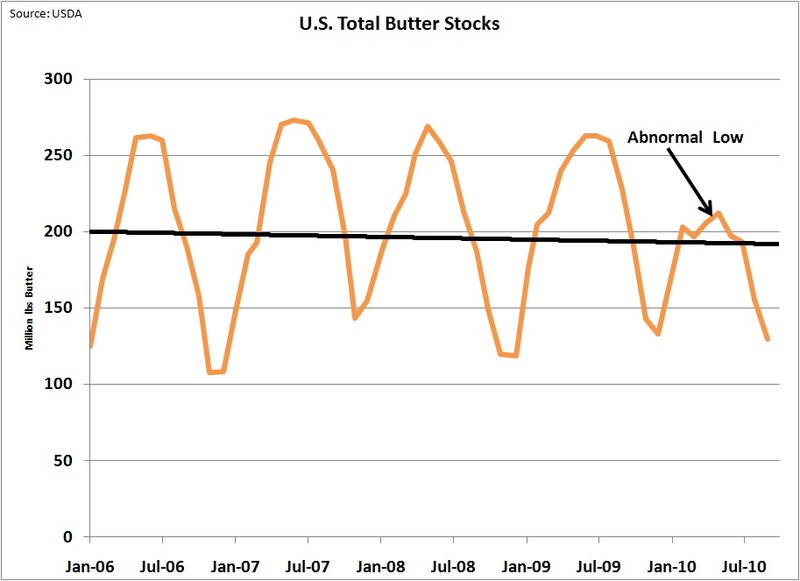 The decrease in butter prices is more difficult to understand. 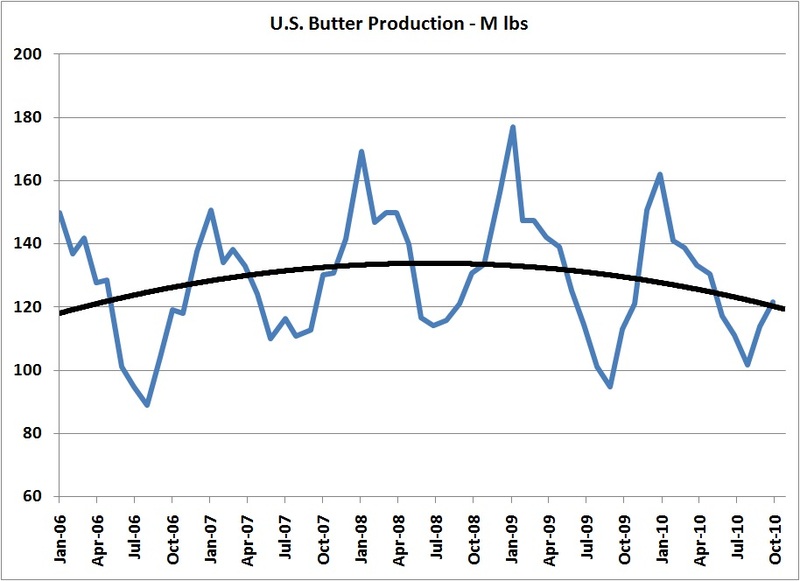 While butter consumption is relatively stable domestically and exports are relatively strong, butter production has been off and remains low. 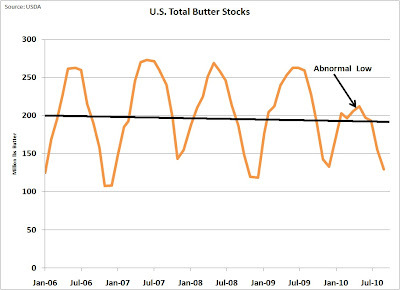 This of course results in lower stocks of butter which typically indicate a higher price. 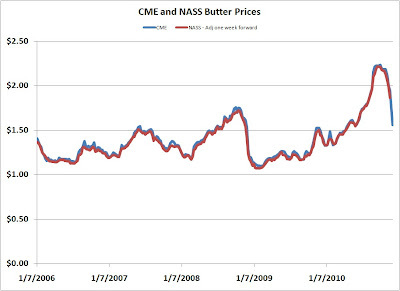 This has not been the case in the last month as butter prices on the CME and the data from NASS have shown a considerable drop. The NASS prices for butter are still well above average as indicated by the red line on the chart below. 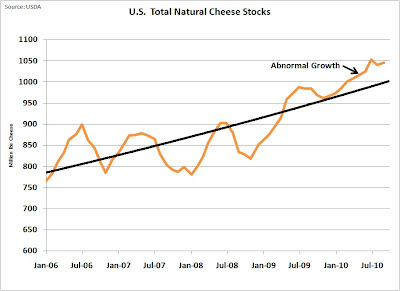 The biggest problem that seems to be persisting is the high inventory levels of cheese. 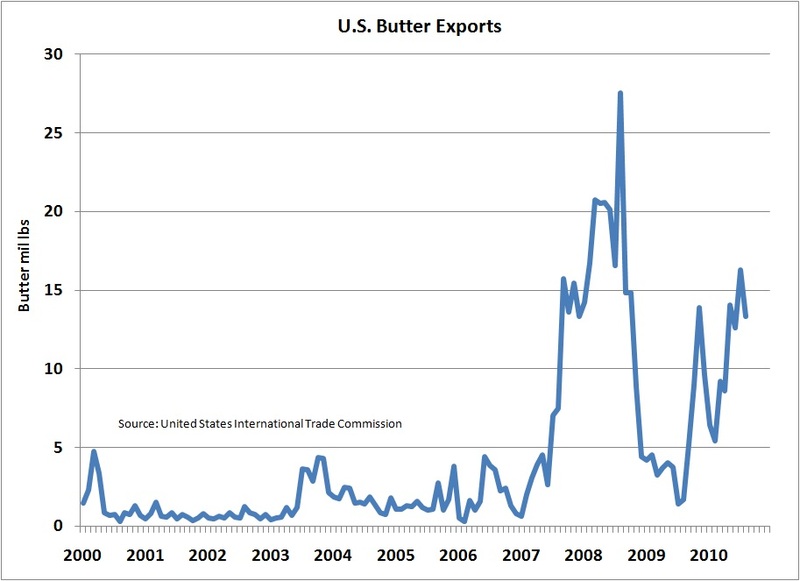 There is currently a lot of excellent work being done to increase exports of dairy products. 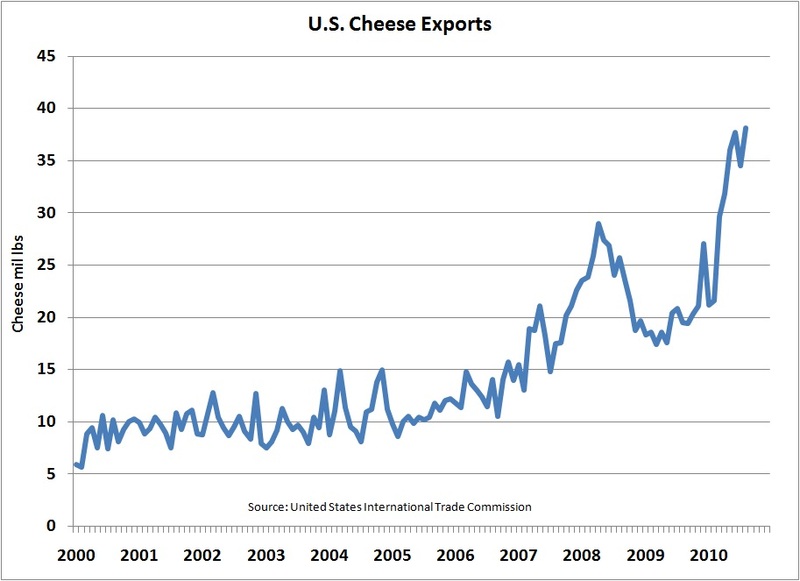 Hopefully, this work will result in significant exports of cheese that will finally reduce the high levels of cheese inventories.